At Dahl Custom Homes, we’re big fans of finding the perfect balance between timeless design and emerging trends. 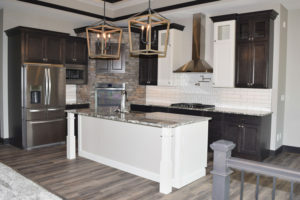 So, today, we’re excited to share with some of our favorite custom home trends that we’re sure will be present through this year and 2019! One of the biggest things we’ve been focusing on that our clients love is the less is more approach. Instead of trying to pack as much design, texture and general ‘stuff’ into Corridor custom homes, we’re focusing our energies on a more organic style. This creates an airy, open space, while still embracing design and decor elements that make it feel like a cozy, peaceful and warm. We’ve always been huge fans of sunrooms when building custom homes in Cedar Rapids and surrounding areas, so we’re excited to see that more and more home buyers are loving them too! We love the sunroom because it adds lots of light to the home, which can make it appear even larger than it already is. And, the options for how to use a sunroom are endless. We’ve seen some clients turn the room into an entertaining space, while others have created some amazing spaces for gardening indoors. While we’ll always hold a special place in our hearts for bright white, clean cabinets, we (and our clients) are also loving color. 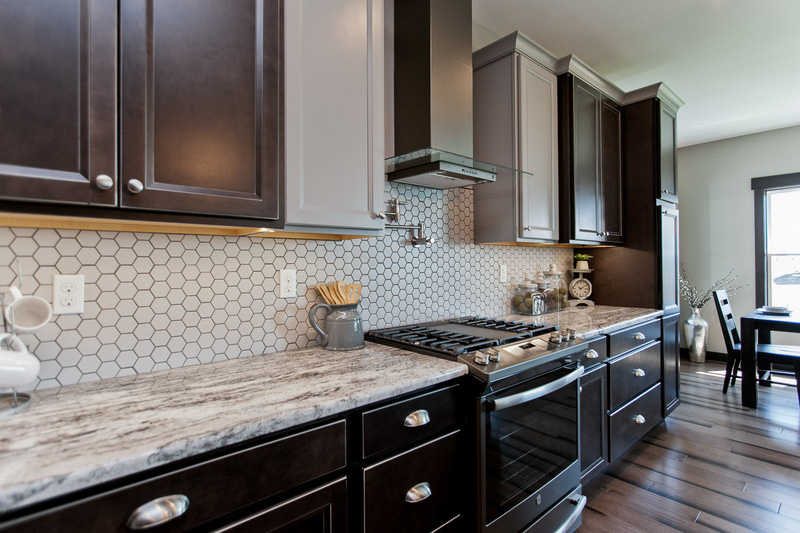 Even the most subdued colored cabinets – think silvery grey or white with a blue hue – can bring personality into a room. And, the beauty of working with us for your custom home is that YOU get to pick the final finishes, including paint color. If you’re feeling unsure, our team of experts can help understand your design goals and make recommendations too. This one is a little less about the build and more about the decor that you choose, but we do our part to ensure that your home’s bedrooms are built to support an open and airy feel. We’re loving the minimalistic bedroom trend (not filling up a bedroom with tons of furniture) since it creates an orderly, tranquil place for rest and relaxation. Think low platform beds and wall-mounted lamps. Earlier, we mentioned the idea of creating a more organic feel in the custom homes we build, and this idea ties directly into that. One way to create this look and feel is using building materials like wood, stone and bamboo. This technique provides warmth to a home without the clutter that people often integrate to keep the home feeling cozy. These natural finishes make a home seem cozier without the clutter of a traditional home. There are some pretty amazing options for Cedar Rapids, Marion or Iowa City Corridor custom home buyers when it comes to tile! Unique backsplashes can bring a great deal of personality into a kitchen or bathroom without creating a heavy look or feel. Tile is a great way to create a timeless, unique aesthetic without going overboard or doing something drastic that you might regret a few months down the line. We hope that these trends provided you some inspiration around what’s possible for your Cedar Rapids, Marion or Iowa City Corridor custom home. If you have questions about our services, please contact us! We’d love to hear more about unique custom home needs.